Join MCA for a free pre-METALCON discussion on MCM fire performance & product choice. 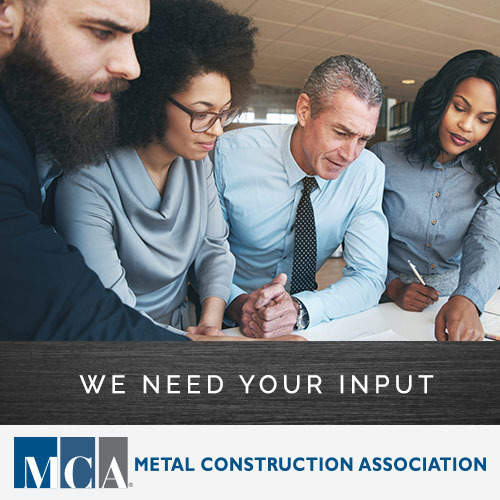 Your input & experiences will help determine MCA’s focus in 2019 & beyond. 10/9, 2-5 pm in the Charlotte Convention Center. Space is limited. Email nsteenberg@metalconstruction.org now to register.